Police at Bekwai in Ashanti Region say they have arrested a prime suspect in the murder of a journalist with Dess FM four months ago. Philip Akumaning, also known as Atta Panin, was picked up at Juansa, near Konongo, upon a tip-off over the weekend. 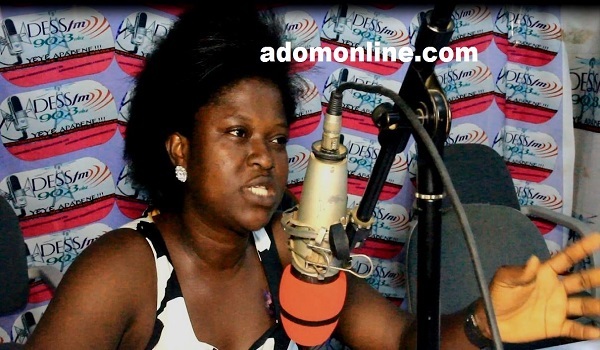 Portia Amma Agyeiwaa was found in a pool of blood in front of her room at the Bekwai suburb of Nyameduasi in April. She was pronounced dead on arrival at the Bekwai Government Hospital. Preliminary police investigations revealed Portia was stabbed in the chest, thigh and left arm with a sharp object believed to be a knife. A Bekwai Magistrate Court issued a warrant for the arrest of the suspect, a carpenter after police leads pointed to him in April. Philip is said to have gone into hiding in Accra but luck eluded him when he was arrested at Juaso in the Ashanti Region where he had gone for a funeral. On Sunday, he led police to his Assin-Fosu base in the Central Region where the knife he allegedly used to commit the homicide was retrieved.